A career in the opera is many things; easy is not one of them. 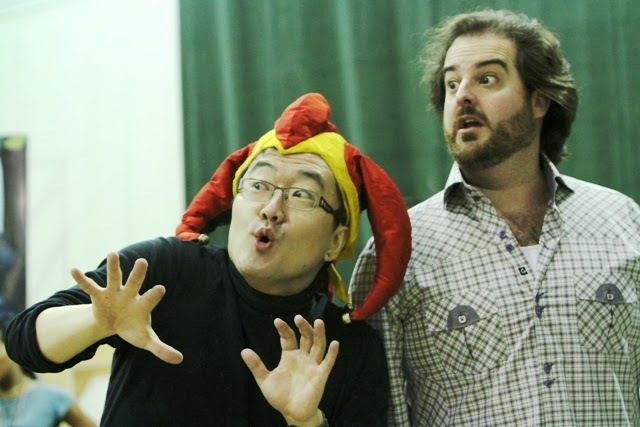 Just ask baritone Hyung Yun. From serving in the military in his native South Korea, to now, only getting to spend four months out of the year with his wife and daughter, life as an artist has had its challenges. But, through it all, he’s sustained by his supportive family, and a passion for music passed down from his late father—a famous baritone in South Korea. As Mr. Yun prepares to make his Seattle Opera debut as Rigoletto (Jan. 12 and 24), he carries on a tradition – singing the same roles as his father. After graduating from Seoul University, you served in the army for three years. What was that like? Yes, in South Korea it’s mandatory – we all have to serve in the army. Thank God, I was stationed to work in the kitchen – there were always great acoustics there, a nice echo, for me to practice singing! Tell me more about your dad – a famous Korean baritone. Amazingly, he sang over 63 roles. Unlike me, he didn't have a chance to truly pursue his art, and instead, often conducted at church and in school. Once, The Julliard School was actually interested in him, but my father had responsibilities in Korea (including, eventually, a family to support!). He was a very creative person. He actually didn't want me to pursue singing. My father’s generation was actually very strong in their love of opera, but none of them really left Korea, so they weren't able to get too far in their careers. It wasn't easy to make any money. You speak Korean and English – it’s amazing to also hear you sing in Italian. Italy and Korea definitely have some similarities. We are both peninsulas that have been very affected by wars of the past. And, while they don’t eat a lot of spicy food, both of us love garlic. Garlic makes for a hot temper. 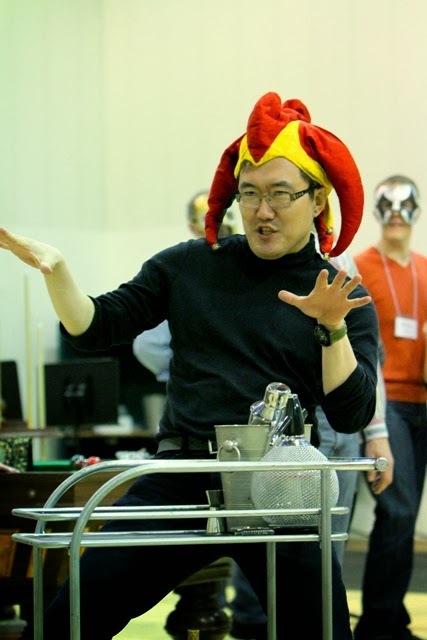 Hyung Yun (Rigoletto) in rehearsal for Seattle Opera's "Rigoletto"
Family is important to you. How do you juggle your career with being a husband and father? It’s so difficult, this lifestyle. I have so much appreciation for my wife. She is so devoted to our family. It’s hard for me to be gone, but this is the only way I know how to take care of my family. You’re making your Seattle Opera debut. What do you think of us? I truly appreciate this feeling of family here – it’s so important for the singers. Especially because many of us travel and don’t get to see our own families often. She’s 17 now, and has such a beautiful voice. We sang a lot in church together, like O Holy Night. She loves music but doesn't like the lifestyle of an opera artist. She also plays the violin, a bit of guitar and piano. What’s it like being in this more modern version of Rigoletto? The music and the text are exactly the same. I tap into the same feelings when I play Rigoletto, it’s just different costumes. Of course, I have my own idea of my part, but I have to follow whatever [Director Linda Brovsky] asks for. What’s it like to sing Rigoletto? It’s the dream role for all baritones. I am truly following in my father’s path. God has guided me in that way. We, in Madison, Wisconsin love it when Hyung sings with us!!!! He is one of the nicest guys around and a wonderful and gifted singer/actor. Toi, toi, toi, Hyung!!!!! Come back to the frigid north soon!! !